The Polish Senate has approved at a late night session a controversial bill on judicial overhaul that will remove Supreme Court judges, local media reported Saturday. Head of Poland’s opposition Democratic Left Alliance (SLD) Wlodzimierz Czarzasty spoke Thursday in favor of shortening the mandate in the Polish parliament's lower house, the Sejm, amid controversial judiciary reform in the country. More than 600,000 Soviet soldiers died liberating Poland from the Nazis during WWII, but Warsaw is now siding with Nazi collaborators, an expert told Sputnik. 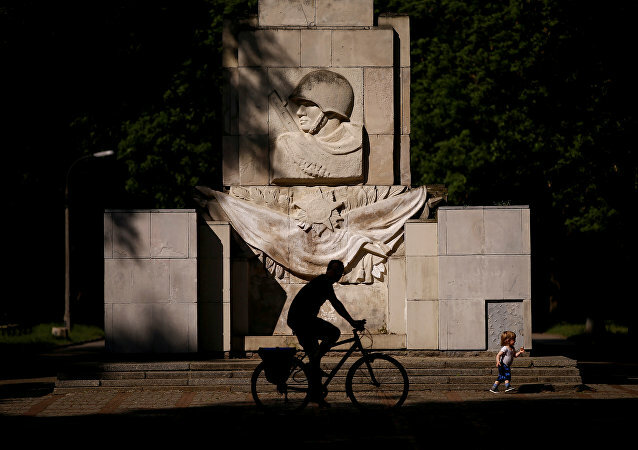 Poland's lower house of parliament has approved the demolition of nearly 500 Soviet-era monuments and memorial stones, many of them commemorating the Soviet and Polish soldiers who perished in WWII. Russian observers can't get over the fact that the legal amendment was approved on June 22, the anniversary of the Nazi invasion of the USSR. Almost 500 Soviet-era monuments and memorial stones considered to be "glorifying communism" are subject to demolition, according to the adopted by lower house of Poland's parliament amendments to the so-called de-communization law. Protest rally took place outside Poland's parliament in Warsaw in support of opposition after a controversial Senate vote on this year’s budget, according to local media. Poland's deputy speaker of the lower-house Sejm from the main opposition Civic Platform party suggested to the Sejm presidium to call a pause in sessions until January 18 to resolve the parliamentary and budgetary crises, according to local media. 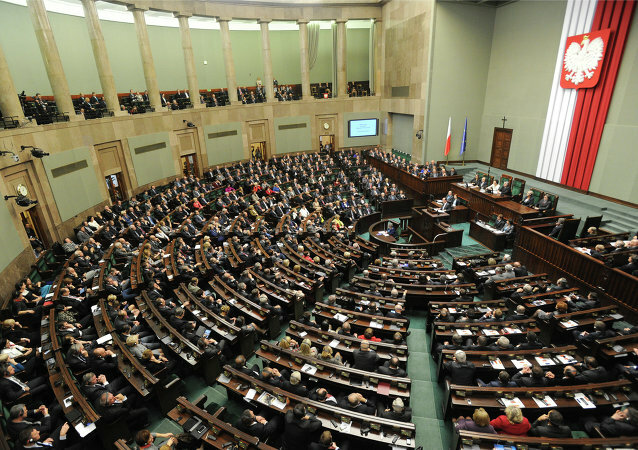 2017 budget was passed through the Polish parliament's (Sejm) Public Finance Committee without any amendments, according to local media. The Sejm, the lower house of the Polish parliament, canceled limitations on the access of journalists to the buildings of the Sejm, according to official statement. 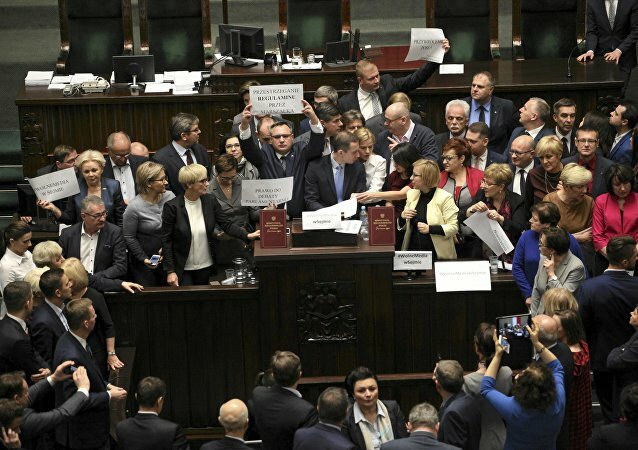 The lawmakers from the opposition Polish parties, who have been blocking the parliament for three days in a row since they took the podium at the Sejm, the lower house, on Friday, will remain in place until January 11, according to Grzegorz Schetyna, the leader of country's largest opposition party Civic Platform (PO). Polish Senate Speaker Stanislaw Karczewski met with the representatives of some 25 media to discuss planned journalists' access restrictions to the parliament. 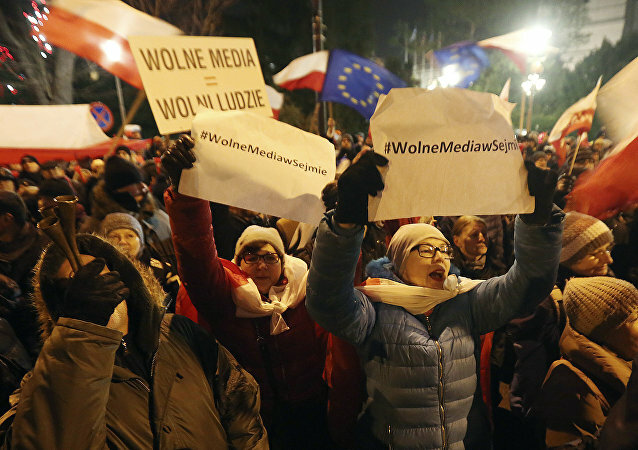 The budget vote in the Polish parliament was postponed after opposition lawmakers started a protest calling for media freedom. 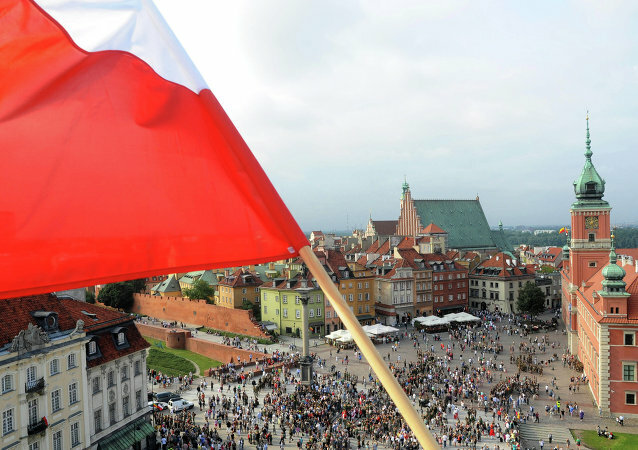 The Polish Parliament is meeting on Friday to discuss a proposed ban on the propaganda of Communist and other totalitarian ideologies. As a result, a large number of Ukrainian monuments in Poland attributed to the symbols of totalitarianism could be dismantled. 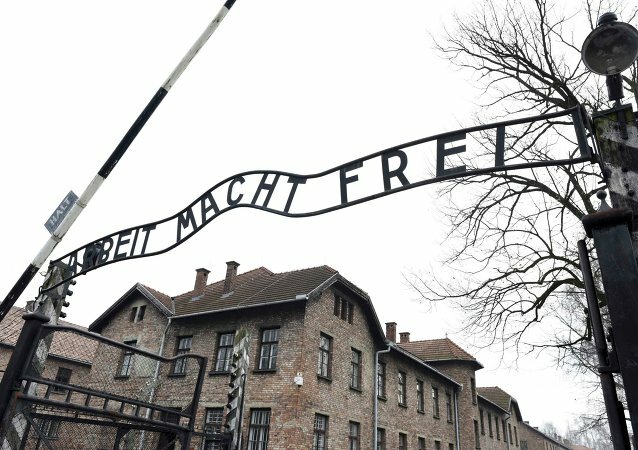 Lawmakers from the Russian Duma, the lower house of the country's parliament, are planning to introduce a bill recognizing the crimes committed by Ukrainian fascists against the Polish civilian population as 'genocide', Russia's RIA Novosti reports. 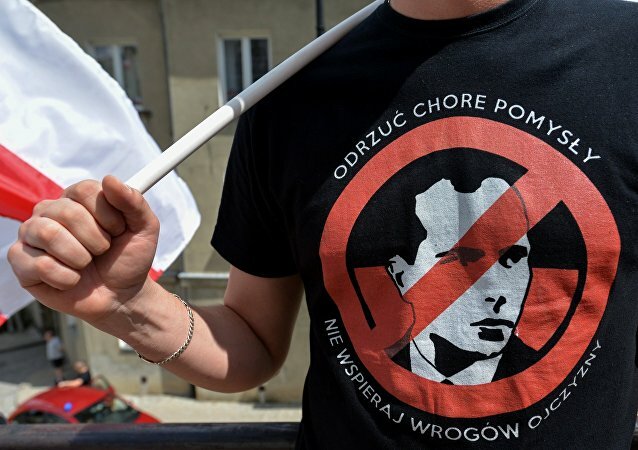 Poland’s Peasant Party has tabled a bill to commemorate the victims of the genocide of Poles by the Ukrainian Insurgent Army (UPA) and the Stepan Bandera faction of the Organization of Ukrainian Nationalists (UPA) during WW II, Polish Radio reported on Monday. In a recent interview for Polish news network TVN 24, MEP Janusz Korwin-Mikke emphasized that Poland has more to fear from a powerful Germany and a chaos-ridden Ukraine than it does from Russia. 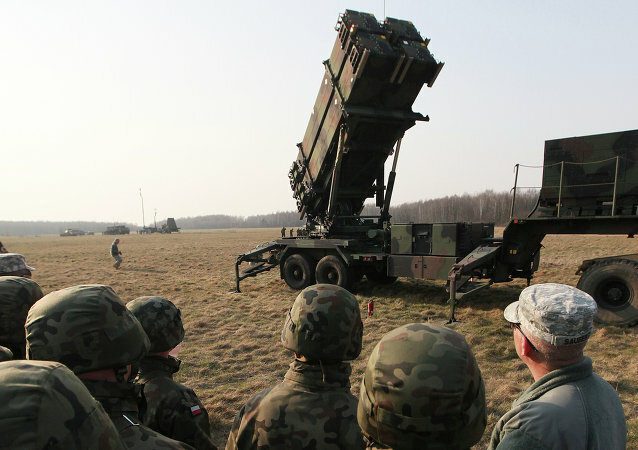 Poland’s lower house of parliament has authorized President Andrzej Duda to ratify a technical agreement on establishing a US anti-missile base in the north of the country. Three Polish ministers, three deputy ministers, the head advisor to the prime minister and the speaker of parliament submitted their resignations Wednesday in connection with the leak of investigative materials connected to a wiretapping scandal which has plagued Poland since last summer.